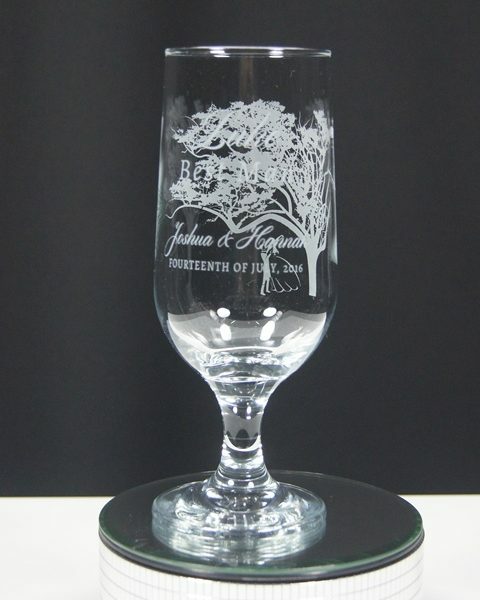 Our Footed Beer glass is 18cm in height and holds 355ml. 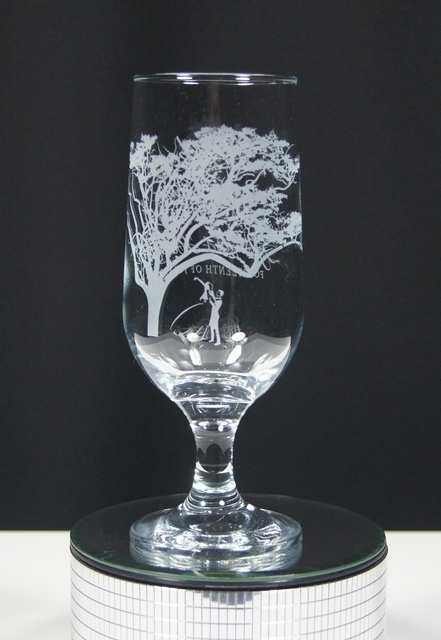 Select your design style clear etched or fully etched which is a frosted look. 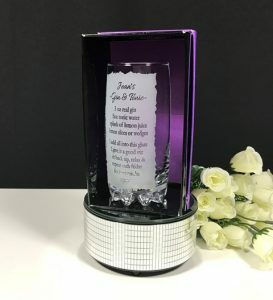 Choose from our vast range of fonts and graphics to make a unique personalised gift. Great for all celebrations. Team up with our optional gift boxing to make a great persoanlised gift. 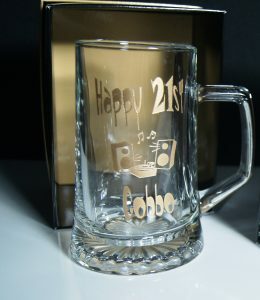 The Footed Beer glass has a great shape to keep your receiver in excellent spirits for the night! 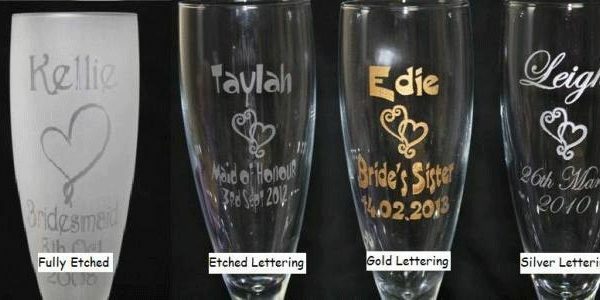 Select your design preference either clear etch or fully etched and your choice of font & graphic. We are more than happy to accommodate your own graphics or if you have something else in mind please let us know. 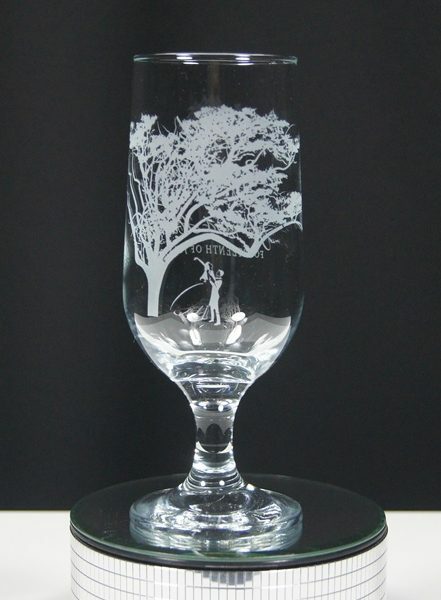 Our glasses are etched which is a 100% permanent. 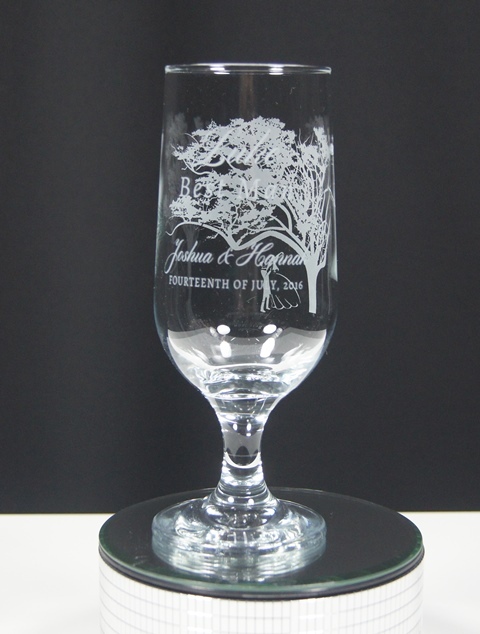 Unlike laser engraving our glasses have a soft satin finish and is soft to touch. Gift boxes are available as an optional extra to present your gift of choice. Once your order is received we will provide a detailed art proof showing a visual of your design. Please allow 7 days for production once your art is approved. We will send you an email once the order is dispatched. 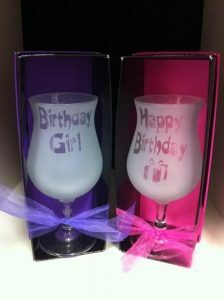 Please note our deliveries are guaranteed and should a glass arrive broken we will gladly replace.